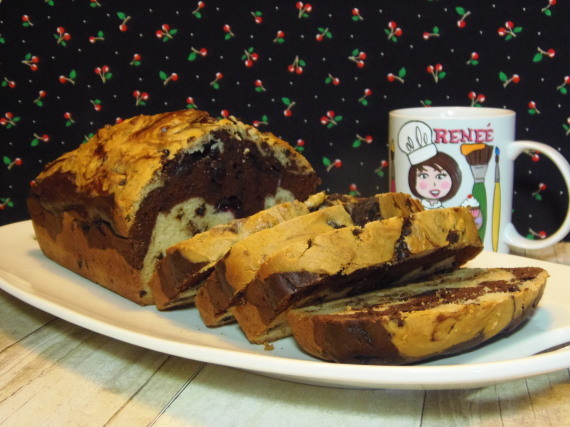 I had this idea for a pound cake several weeks ago. I wrote the idea down on a scrap piece of paper and then kept shifting it around on my kitchen counter tops, from here to there and there to here, not wanting to throw it out least I forget to make this cake. 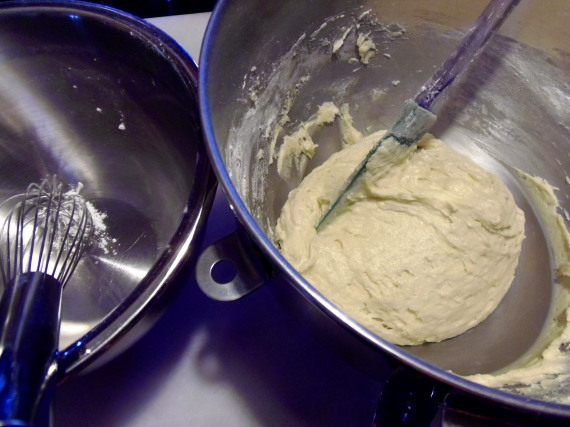 -Prepare a loaf pan by lightly spraying it with cooking spray. 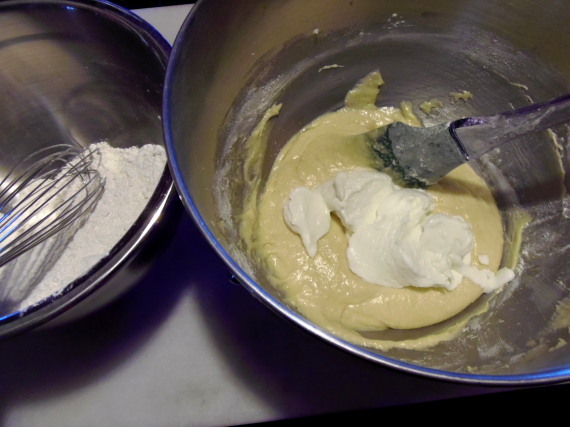 -Add the Stevia, eggs and the egg whites to the butter and sugar and blend until just combined. -Switch to a wooden spoon or scraper. 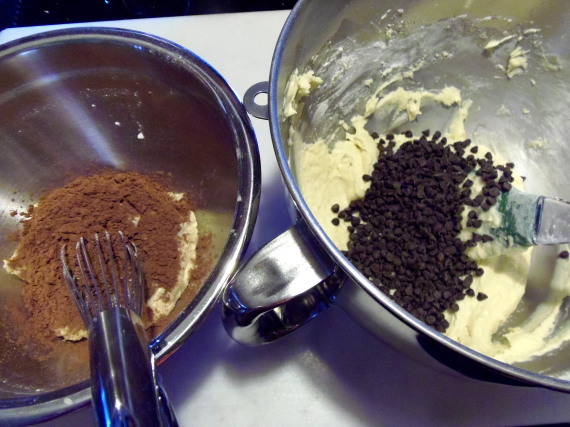 -Add in the vanilla, coconut extract and Greek yogurt and blend. 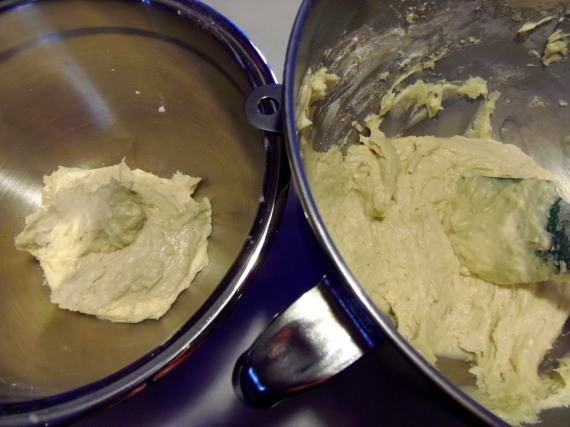 -In a medium bowl, whisk together the cake flour, baking soda and salt. 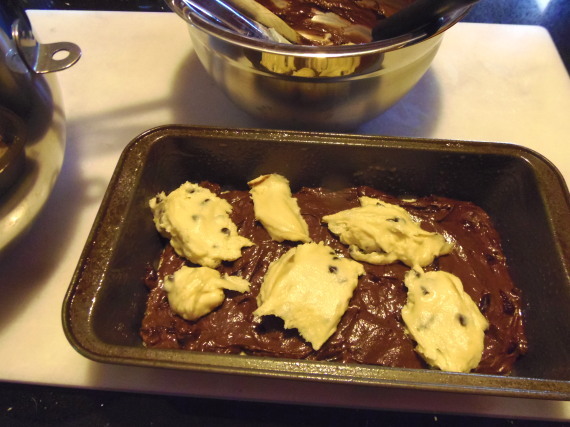 -Stir the flour mixture into the butter and sugar mixture making sure to incorporate all the ingredients. 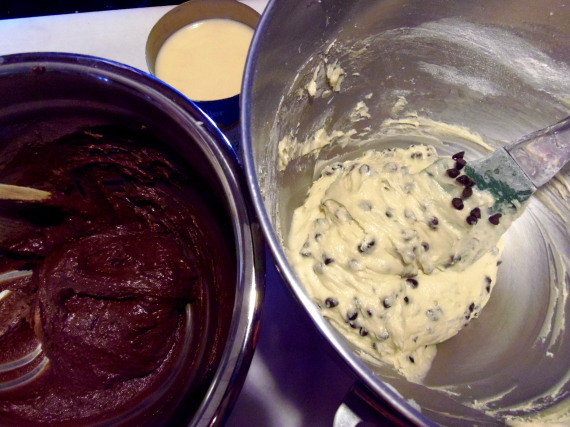 -Remove about 1/3 of the batter and place it in a small bowl. 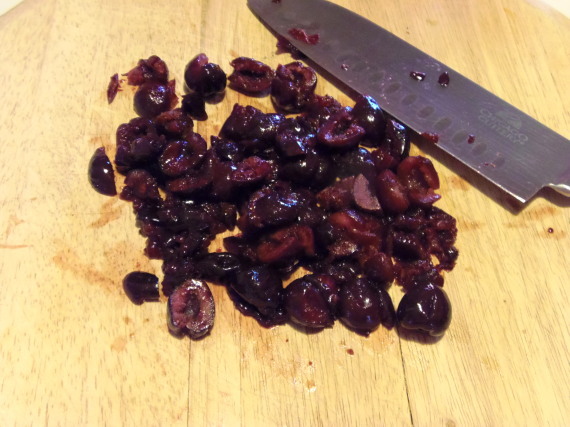 -Add the cocoa powder, evaporated milk and chopped cherries to the 1/3 cup of batter and mix well to combine. 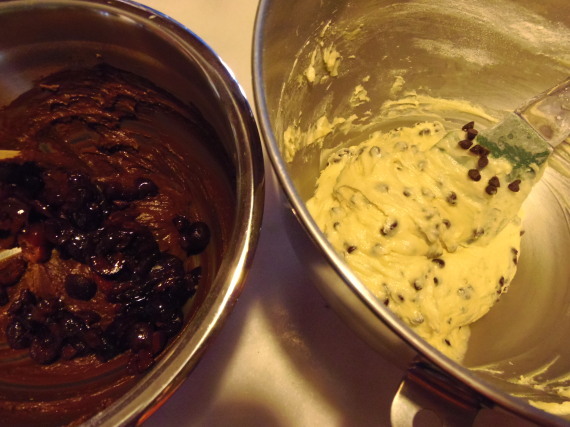 -Add the chocolate chips to the remaining 2/3’s cup plain batter and mix well to combine. 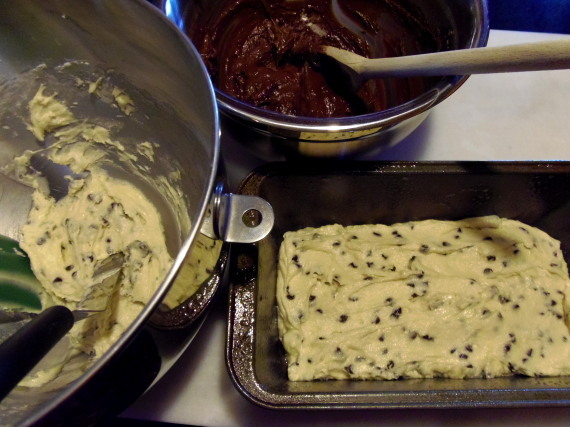 -Add almost all of the chocolate chip batter evenly into the bottom of the loaf pan, reserving about 1 cup to add to the top. 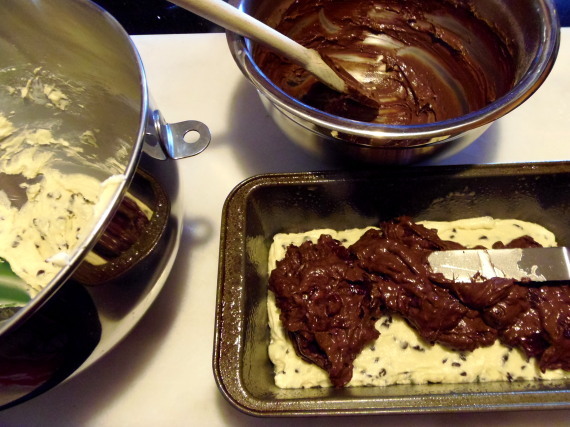 -Top that layer with the entire chocolate cherry batter making sure to spread it evenly on top. 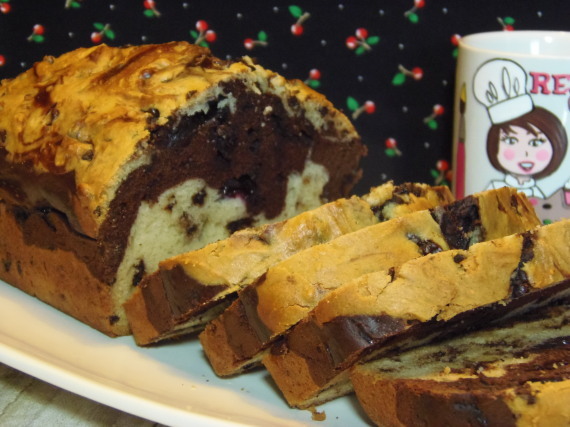 -Drop dollops of the chocolate chip batter on top of the chocolate cherry mix and swirl with a knife to even and marble the loaf. -Bake in your preheated oven for approximately 60-70 minutes or until a toothpick inserted in the center comes out clean. 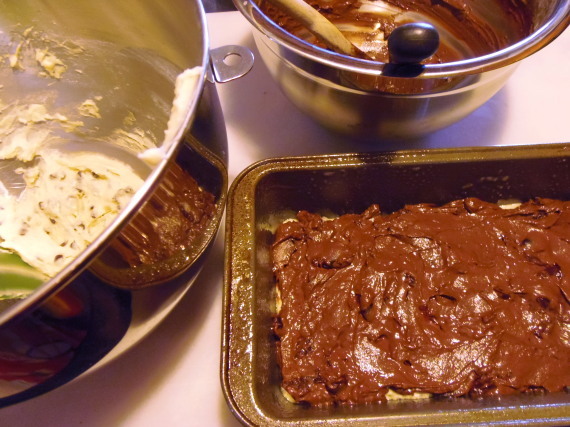 -Cool on a wire rack for about 20 minutes and then remove the loaf from the pan and continue cooling on the rack until completely cooled. 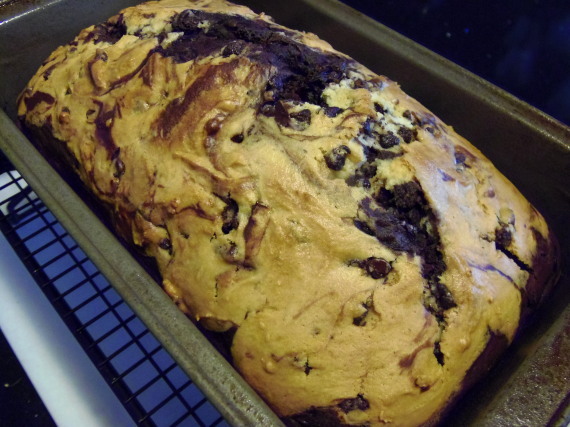 Until we eat again, I hope you’ve enjoyed this recipe and will come back often! There is always something wonderful happening in my Kudos Kitchen! Delicious, perfect combo. 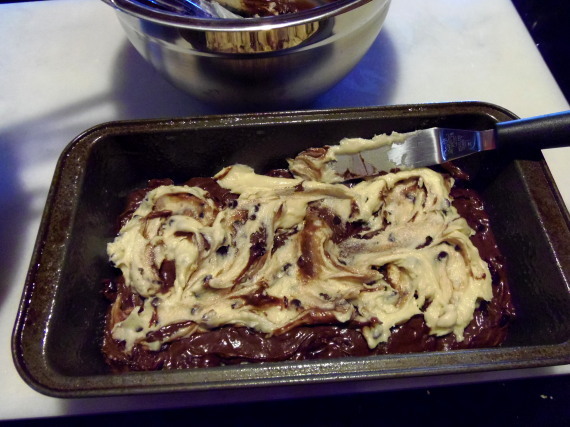 I really want some of this. I don't have Stevia, do you think it would work the same with all sugar? Or is Stevia a lesser amount you'd use for sugar? Actually, I've heard that Stevia is supposed to be sweeter tasting than sugar but I've not tried to compare them side by side. If I was you, I'd go with all sugar and not cut the amount at all. 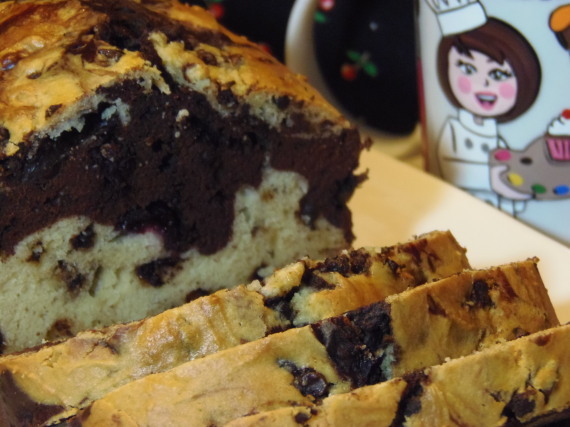 That is one seriously delicious looking pound cake!